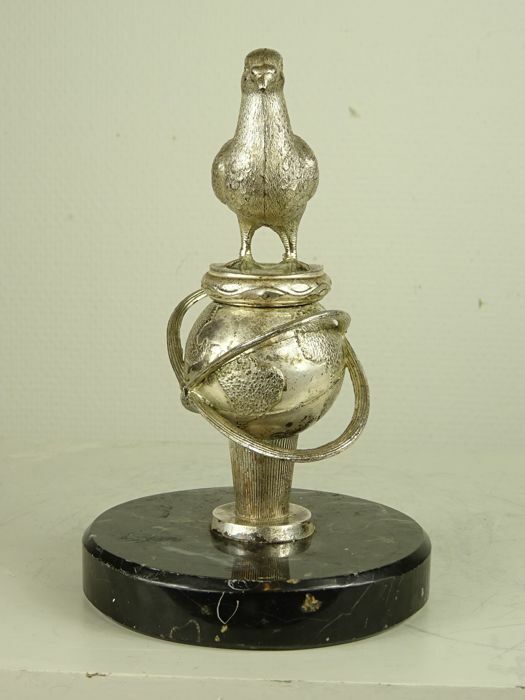 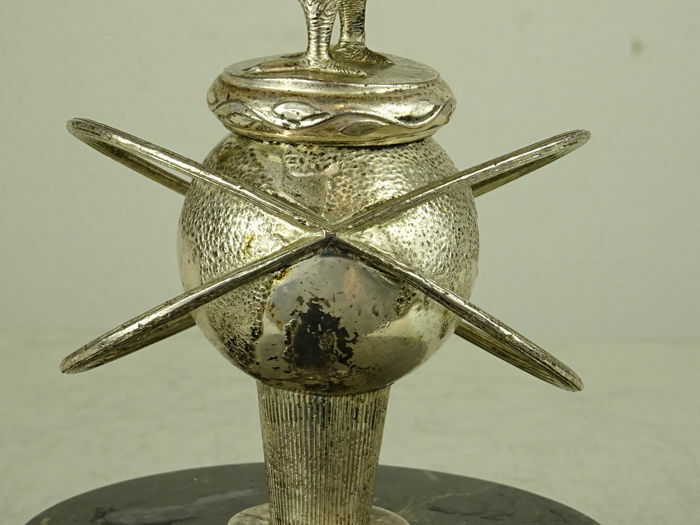 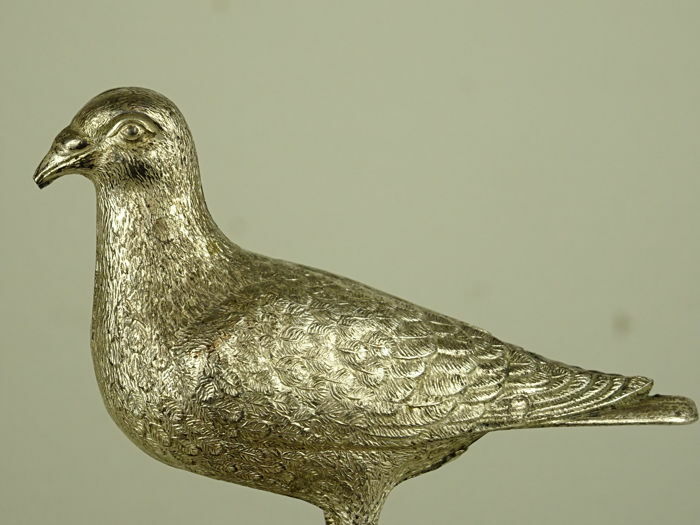 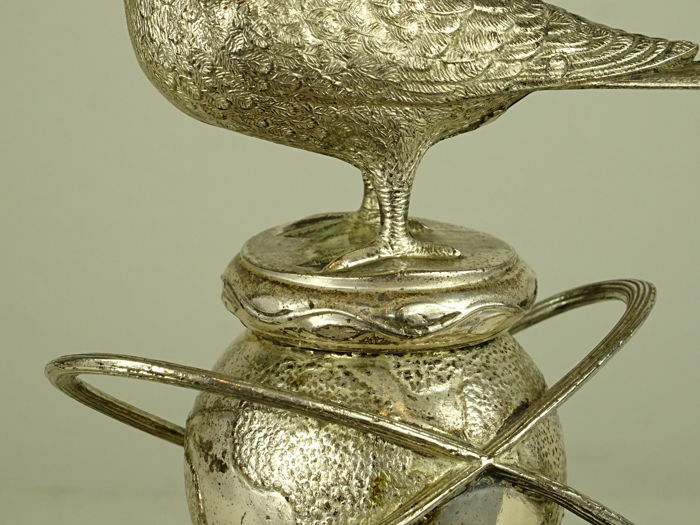 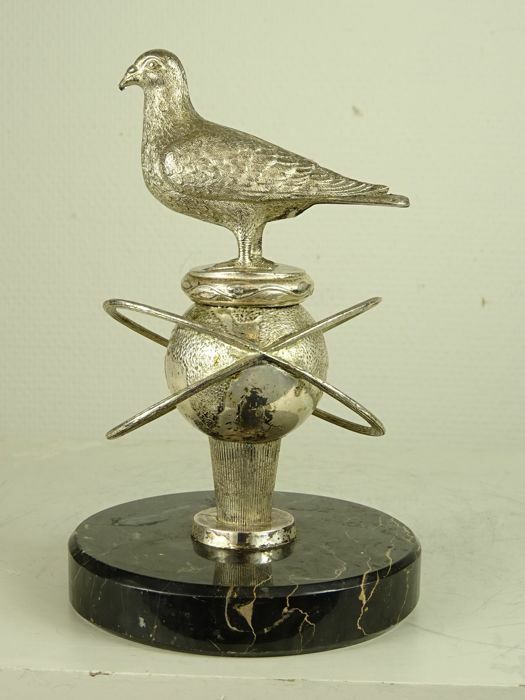 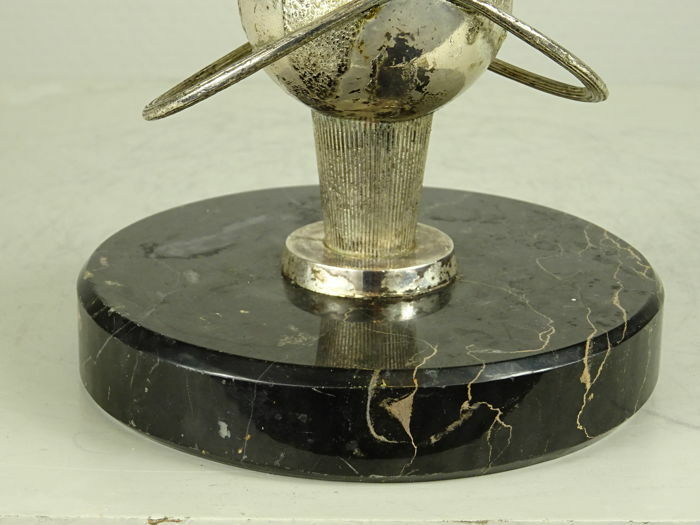 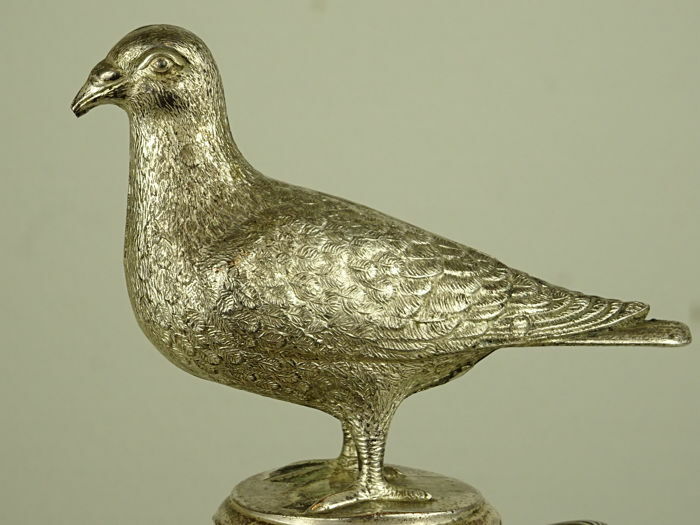 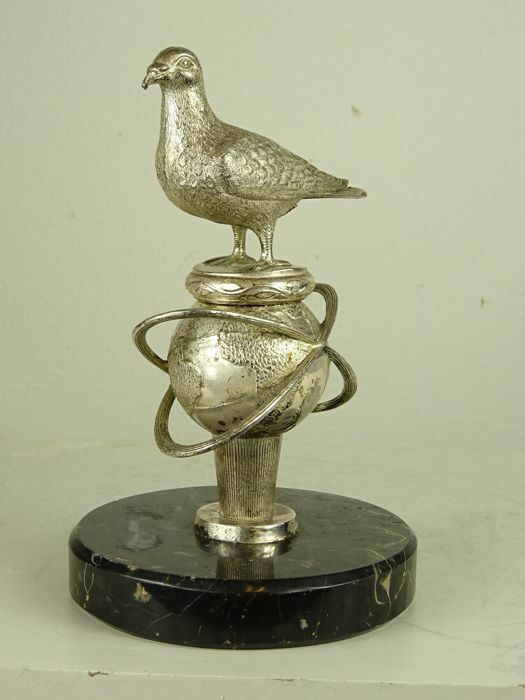 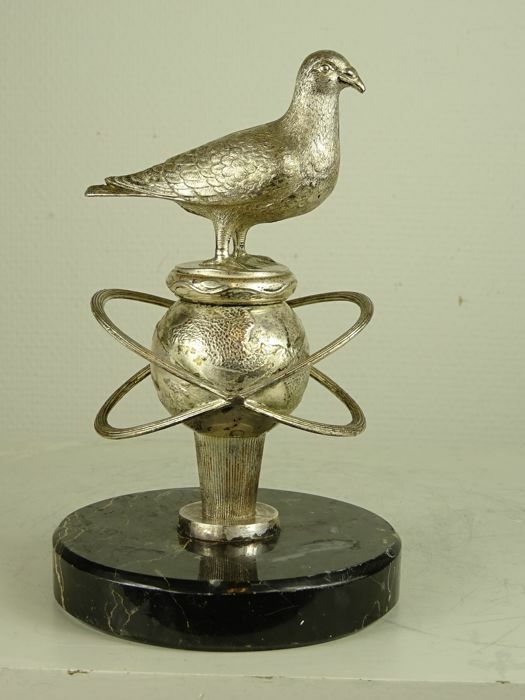 A silver plated metal figure of a dove standing over a globe on a black marble base, measuring circa 17cm tall and weighing 1140g. 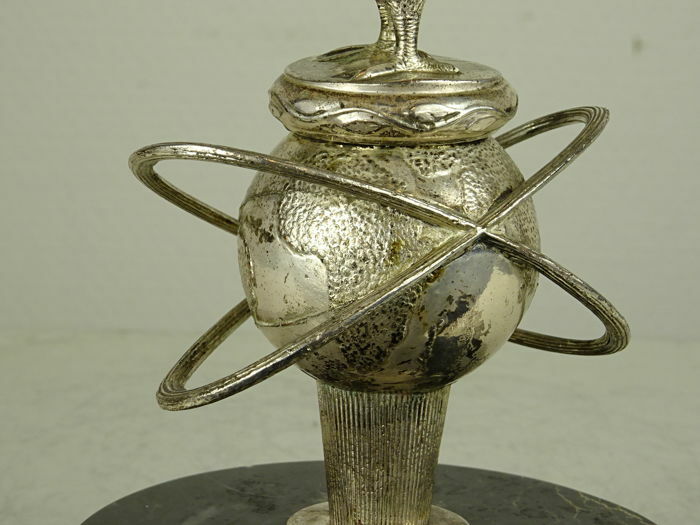 Tentative date: Circa 1930. 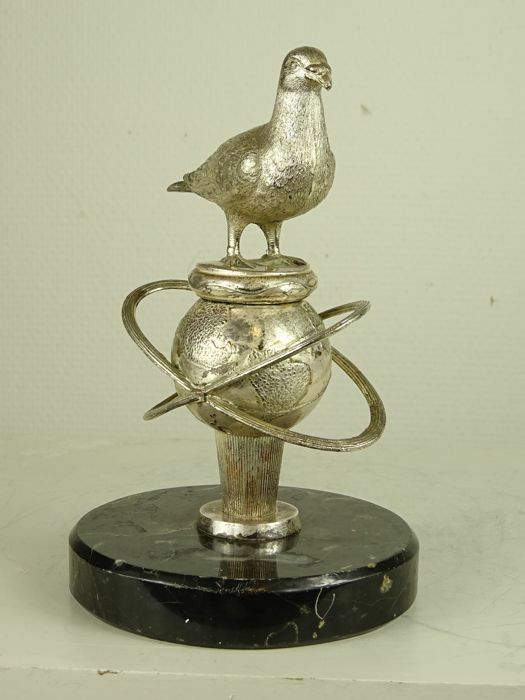 This lot will be carefully packaged and sent by registered and insured mail.